Jon Stewart, the TV satirist whom the Washington Post calls a founding father of “fake news,” drew tens of thousands of fans to Washington, D.C., yesterday in an enthusiastic rally on the National Mall. While impressed by the turnout yesterday on the Mall, Media Myth Alert was struck even more by the over-the-top, “most trusted” claim. For starters, the reference to Cronkite and Vietnam is exaggerated. Cronkite, in a special report broadcast February 27, 1968, asserted that the U.S. military effort against the communist North Vietnamese was “mired in stalemate“–not that the war was lost. And as I note in my latest book, Getting It Wrong, the “mired in stalemate’ assessment was neither notable nor extraordinary” by that time. Cronkite’s “mired in stalemate” assessment hardly can be interpreted as an implicit claim that war had become “a lost cause.” Indeed, it’s striking just “how hedged and cautious” Cronkite’s remarks about Vietnam really were, I note in Getting It Wrong. But back to the Stewart-Cronkite comparisons. The Guardian asserted that to “some Americans,” the often-sarcastic Stewart “is the most trusted man” in America since Cronkite. Sounds impressive. But “most trusted” is quite a dubious and slippery characterization. 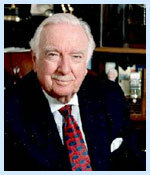 Cronkite often was called the “most trusted man” in America. Supporting evidence for such a claim was very vague, however. As the inestimable Jack Shafer pointed out in a column after Cronkite’s death, the “most trusted” epithet can be traced to an unrepresentative survey conducted in 18 states in 1972. The pollster was Oliver Quayle and Company, which sought to measure public trust among U.S. in politicians who were prominent at the time. Cronkite was inexplicably included in the Quayle poll, meaning he was compared to the likes of Richard Nixon, Hubert Humphrey, Edmund Muskie, George McGovern, Edward Kennedy, and Spiro Agnew. As for Stewart, what’s the evidence’s that he’s now the “most trusted” man in America? The profile ran nearly 3,000 words–and nowhere after the headline does the phrase “most trusted” appear. 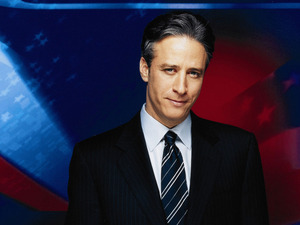 The Times article quoted Stewart as likening his job to ”throwing spitballs” from the rear of the room and as saying the mandate of his Daily Show program on cable television is to entertain, not inform. Following Cronkite’s death in July 2009, Time magazine conducted an online poll that suggested Stewart was “trusted” more than any network anchor–easily outdistancing Katie Couric of CBS News, Charlie Gibson of ABC News, and Brian Williams of NBC News. In other words, the results were useless for purposes of comparison. But still, they attracted no small amount of attention. Perhaps the Fresh Air program on National Public Radio has best taken the measure of Stewart and “trust.” Fresh Air‘s characterization of the likable comedian?